Consider all the options before taking taking a hardship distribution. Have a 401(k) plan? You probably know that you cannot take a withdrawal until your employment ends unless the 401(k) plan allows hardship withdrawals. To find out if your plan allows for a 401(k) hardship withdrawal talk to your plan administrator, which might be someone in the human resources or benefits department, or you can call the phone number on your 401(k) plan account statement. If you don't qualify for an exception to the penalty tax, you need to plan that at least 30 cents of every dollar you withdraw will go toward taxes. If you take $1,000, after taxes you might get $700. If you have other resources, such as an emergency fund, that can be used to meet your financial needs then it is best to use those assets first and use a 401(k) hardship withdrawal only if it is your last available option. To qualify as a hardship, you will need to explain your situation to your 401(k) plan administrator. Most of the time they can determine if your circumstances qualify as a hardship, but some 401(k) plans may require some form of documentation be presented. Ask your 401(k) plan provider what they require as proof of hardship. Many people do not know that 401(k) money is protected from creditors and protected from bankruptcy. If you are experiencing financial hardship and think you may end up filing bankruptcy do not cash out your 401(k) plan. Your creditors and the bankruptcy court cannot take your 401(k) plan money. It may be better to borrow money rather than take a 401(k) hardship withdrawal. Too many people cash out of a 401(k) plan or take a hardship withdrawal to pay medical expenses when their 401(k) money would be protected from these creditors. Try working out a payment plan with a creditor before you touch your retirement plan money. For six months after you take a 401(k) hardship withdrawal, you will not be allowed to make contributions to your 401(k) plan. You are also not allowed to pay back the amount of the hardship withdrawal, but you can continue to contribute (after the six months) up the maximum 401(k) allowable contribution limit for the year. 401(k) Hardship Withdrawal or 401(k) Loan? When you borrow money from your 401(k) plan you can pay it back over five years, and the interest you pay goes back into your account. At the time you take a 401(k) plan loan, you will not pay taxes on the amount you borrow. If you do not pay back the full amount you borrowed according to the repayment plan then any remaining loan amount will become a taxable distribution to you and may also be subject to a 10% early withdrawal penalty tax if you are not yet age 59 1/2. Because of these differences, a 401(k) plan loan allows more flexibility than a 401(k) plan hardship withdrawal. Hardships are just that, a hardship--not something you planned and often-times an emergency or dire situation where you're out of options. But if other options remain, exhaust those first and as appropriate. Nearly all Americans are behind on retirement savings and risk severe shortfalls when they reach an age where they can no longer work. 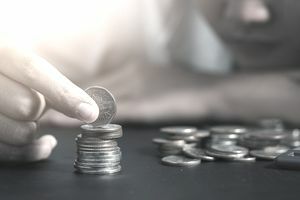 Withdrawing money from your retirement savings before retirement might solve the current issue but it potentially creates or adds to a future problem that could be even more difficult to solve. Before making a hardship withdraw, talk to a financial planner or any other expert related to the situation and look for all other options first--if any are available.